Who among us has not at one time or another worn a temporary tattoo? I mean come on, they are so much fun. But to be honest, most times they are some crappy clip art nonsense that is more ironic than actually cool. Swiss Miss has saved us from the mundane and given us some temporary tattoo that are actually cool! 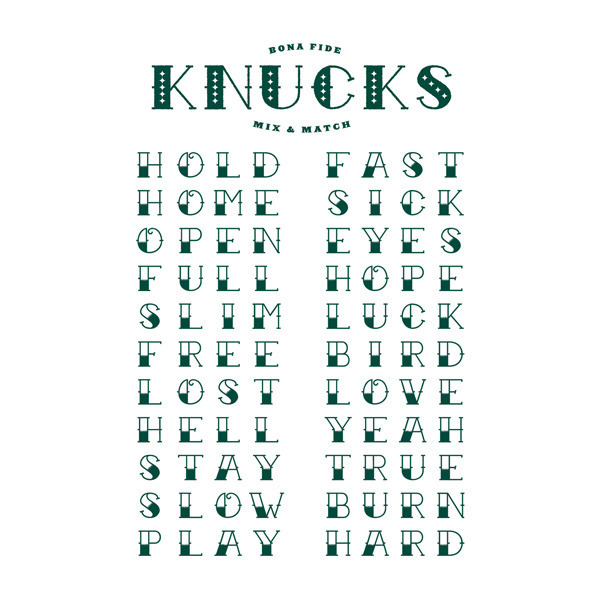 I personally am very bummed that Knucks is sold out. Come on Tina, give us more Knucks! 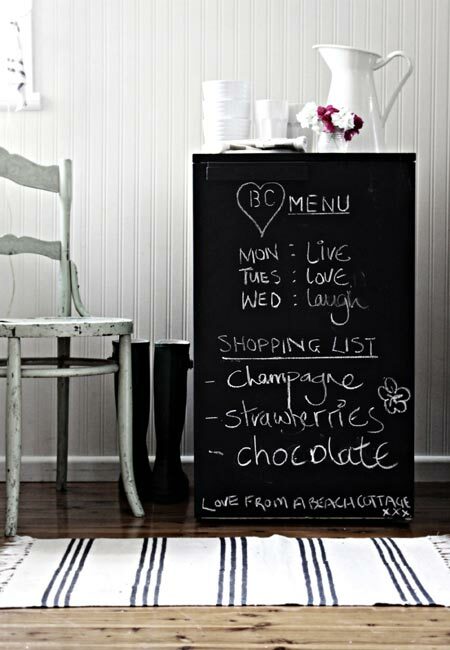 Pretty please with sugar? Well in the meantime this one has a message I just can’t argue with and can’t we all use a reminder to focus on the important things in life. For whatever reason I just don’t enjoy drinking water. When I was younger I would often get dehydration headaches, that is how much I am not fond of drinking it. And if I am going to drink it plain it has to be cold. Really cold. Glass full of ice type cold. Usually I make it into seltzer and more often than not add a splash of juice (or more than a splash if you must know). It was like this Wikihow post via Lifehacker was written for me. 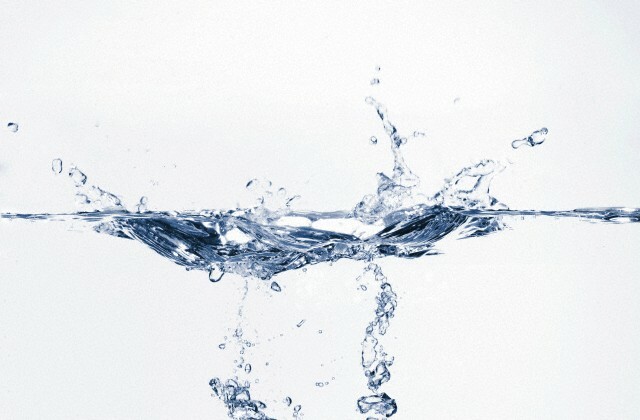 I have tried the lemon, so maybe what I need to do it rethink how I think about water. Flushing toxins sounds good, or maybe I will have to trick myself into drinking more. Boy do I love the taste of water! Hmmm, this may take a while. April is upon us and that means umbrella season. You could of course be one of the many contributing to the sea of boring black umbrellas but a friend once pointed out that a lighter color umbrella will make you feel less like there is a dark cloud above you. How much better would it be to have an umbrella that was not only light in color but had a lovely pattern. Your favorite pattern even. Usually these types of umbrellas are pretty spendy and you may find a pattern you like, you may not. Well get ready to have the most amazingly perfect umbrella on the block. 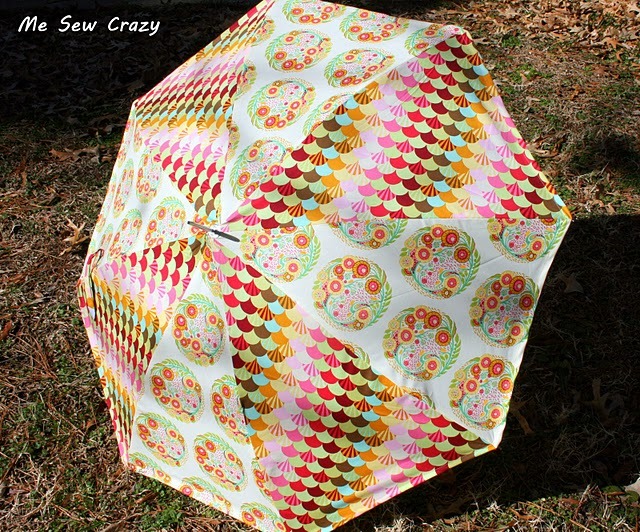 Jessica from Me Sew Crazy has posted a wonderful tutorial with lots of pictures. Bring on those showers April, I am ready! As you know I am big into birds on stuff. Well it looks like the folks behind the IFC show Portlandia think it is a trend that deserves to be made fun of. The show is hilarious and if you haven’t already seen it you should check it out. I don’t care, I still like birds on stuff. Oh hi! You are still checking in? You are probably wondering about the radio silence. Well since my last post my little girl made her official debut! I talk about it here if you are interested. I am finally figuring out how to get some sleep so I am hoping to get back to rambling on soon. Thanks for sticking with me! 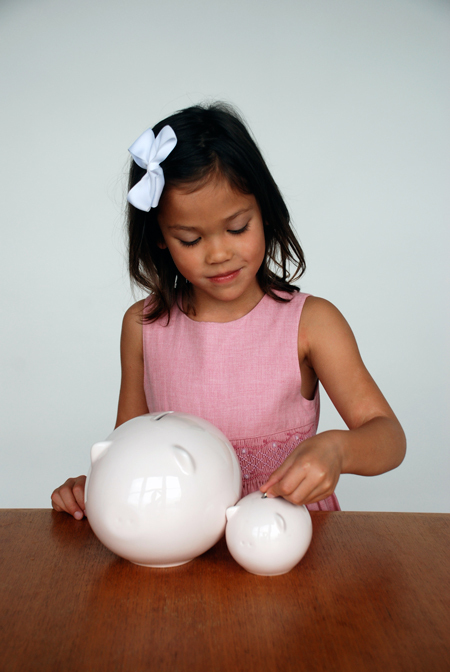 Each year when we are choosing our charity gift donations for Christmas M&I talk about what we think would be good ways to encourage charitable giving in our children. While we had some ideas, none were as elegant as Piggy. This set of nesting momma (for personal savings) and baby (for charitable savings) piggies become a visual reminder to set aside a little bit of what we get for those less fortunate. Thankfully there is no need to take a hammer to these cuties. Once the banks are full there is a rubber stopper on the bottom to access funds. I have a weakness for pig shaped things and I find these to be especially adorable but I love the idea of choosing a cause that my little one can get behind.